At Matcon we have been working closely with Evesham Adventure Playground Association, a local charity set-up to ensure children, young people and families have the space to have fun together in an environment that challenges and inspires the mind and body. As well as their out of school childcare schemes and youth clubs, they also host a community pantry which is open daily with surplus food provided by local supermarkets otherwise destined for landfill. 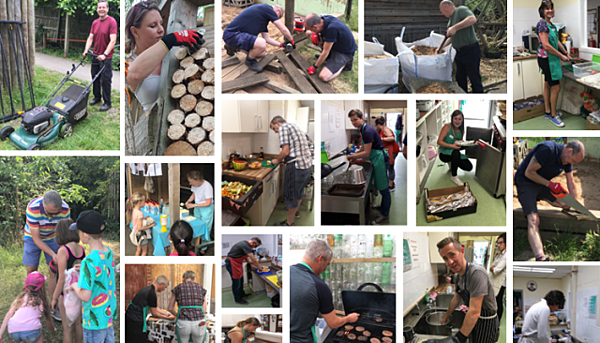 The Association recognise, celebrate and promote local green projects, activities and lifestyles that are not only good for the environment but also benefit the community & help save money. Last year, they were awarded the ‘2018 Wychavon Intelligently Green Award’ by Wychavon District Council for their community pantry, bike schemes and use of reused and reclaimed materials on site. When Matcon approached Evesham Adventure Playground Association, they had recently been given the opportunity by the local council to extend and develop their current playground space into an adjacent grass area. 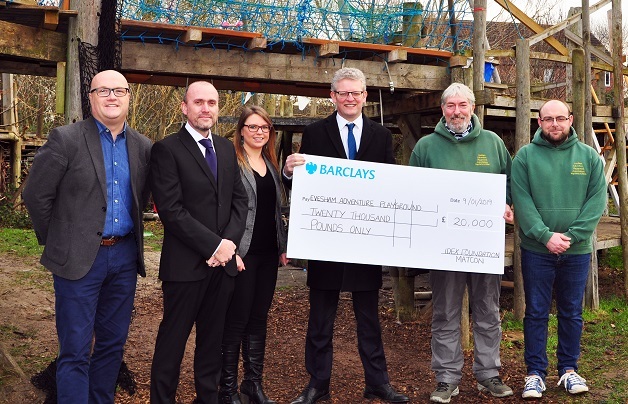 This meant they needed to raise approximately £10,000 to fund new, secure fencing and specialist pieces of play equipment to provide sensory learning and stimulation of the five senses: taste, sight, touch, smell, and hearing. Matcon have supported the charity with fundraising events including a Bake-Off competition and Static Bike Challenge, and have volunteered 120 hours preparing and serving over 3000 hot meals during the school summer holidays tackling ‘holiday hunger’, providing meals to children who would normally access Free School Meals. 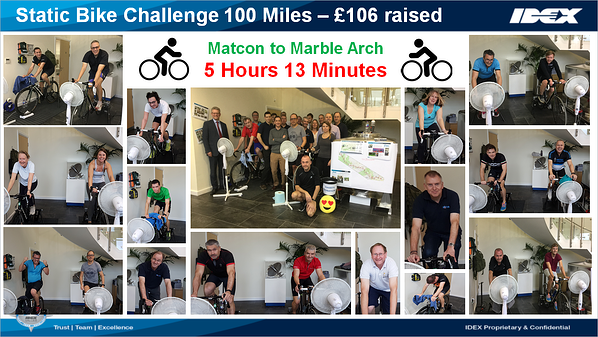 To date, Matcon employee fundraising has reached nearly £2,000. This has been further supported with a substantial donation of £20,000 from the IDEX Foundation, a charitable giving organization which is part of IDEX Corporation who Matcon was acquired by in 2012. These donations will also now allow the community pantry to be further developed, which will include the purchase of an electric panel van to collect surplus produce from local supermarkets, supporting their efforts to reduce the carbon footprint and Be Green! Dave Boucker, Programme Manager of Evesham Adventure Playground Association, said “We are looking forward to using the funding towards buying the materials & machinery to enable us to build a new & safe fence around the perimeter of the playground, also towards finalising the expansion of our community pantry. One major investment will be towards an Electric Panel Van, this will enable us to reduce our carbon footprint whilst out on our daily collections of surplus produce from local supermarkets, to stock the community pantry. We, along with the children and families who use the playground, take pride in being ‘green’ and we have other ideas for the future to help with this; such as water tanks to collect rain water to enable flushing the toilets without using a mains water supply, an incinerator in order to burn any food which is unsuitable for consumption to heat our water & radiators and eventually, we would like to install solar panels so that we can generate our own power - which can charge the van!